Rated capacity of 80 tons, providing the additional push necessary for the heaviest loaded freight cars. Available with extension sets, swivel load caps, and locking load ring sets. 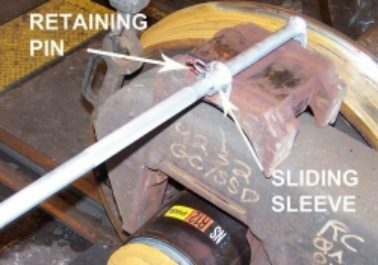 Compatible for use with any wheel truck running a 4,000 P.S.I. hydraulic system. Includes an over-center valve for complete load protection safety. The weight of the jack is 208 pounds. 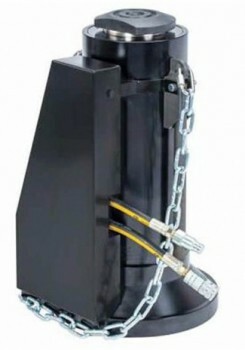 Equipped with large diameter base for jack stability. 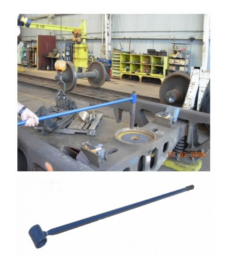 Designed to remove and replace freight car truck center pins. and apply pressure to the pin by turning the handle clockwise. To release, turn the handle counter-clockwise. 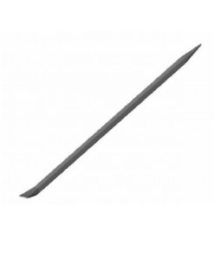 This brake shoe pry bar is manufactured in the exact configuration necessary to safely and effectively replace freight car and locomotive brake shoes. 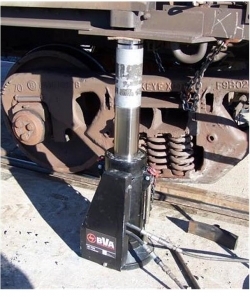 The 42” length provides the extra leverage required to pry the shoe away from the wheel. Both tips are in the correct configuration required for shoe and retainer key prying.